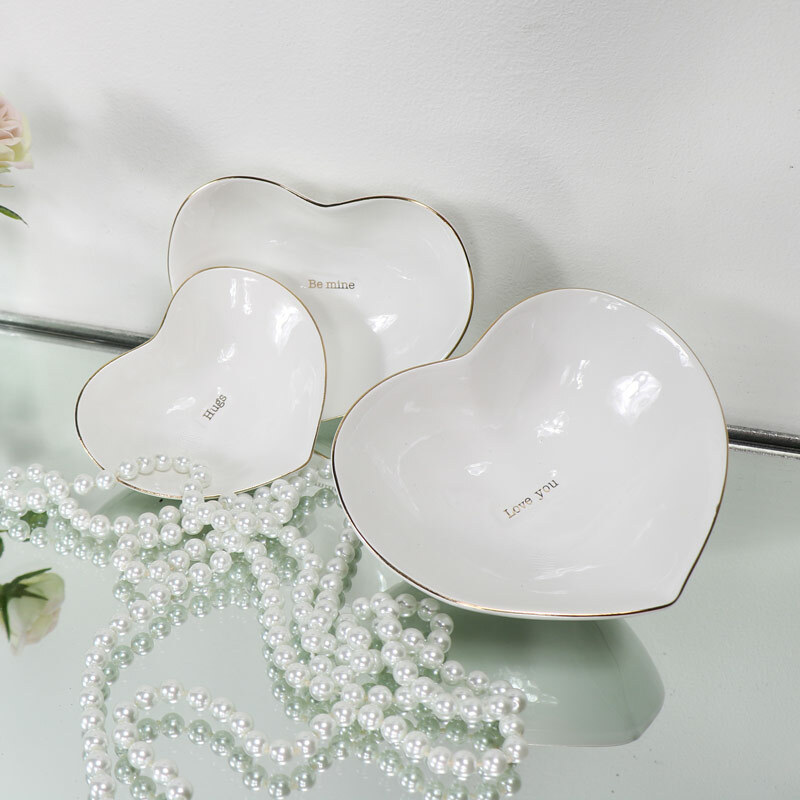 Give a gift that means so much with this set of 3 heart dishes, each with a loving sentiment. Perfect for holding precious trinkets or used at weddings for holding little sweet treats. 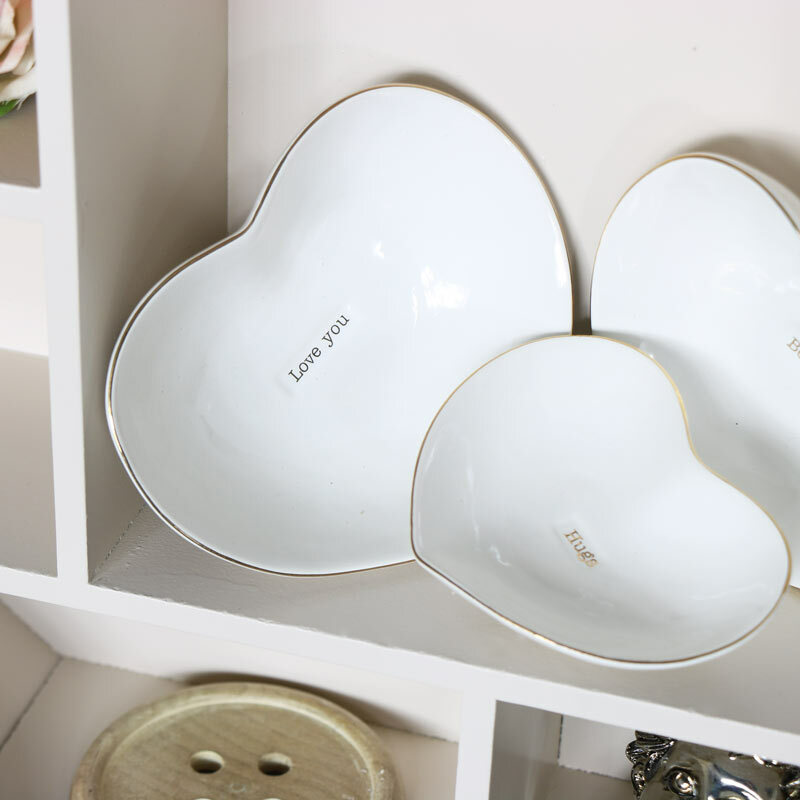 White ceramic in 3 different sizes from large to small, each with a different message written in gold wording that reads, Be Mine, Love You and Hugs, sweet sentiments for someone that you love. A great gift idea for Valentine's Day, Mother's Day, for that special person or as a wedding table centre or accessory. These would look great used as a set or can be used individually wherever you want to place them. 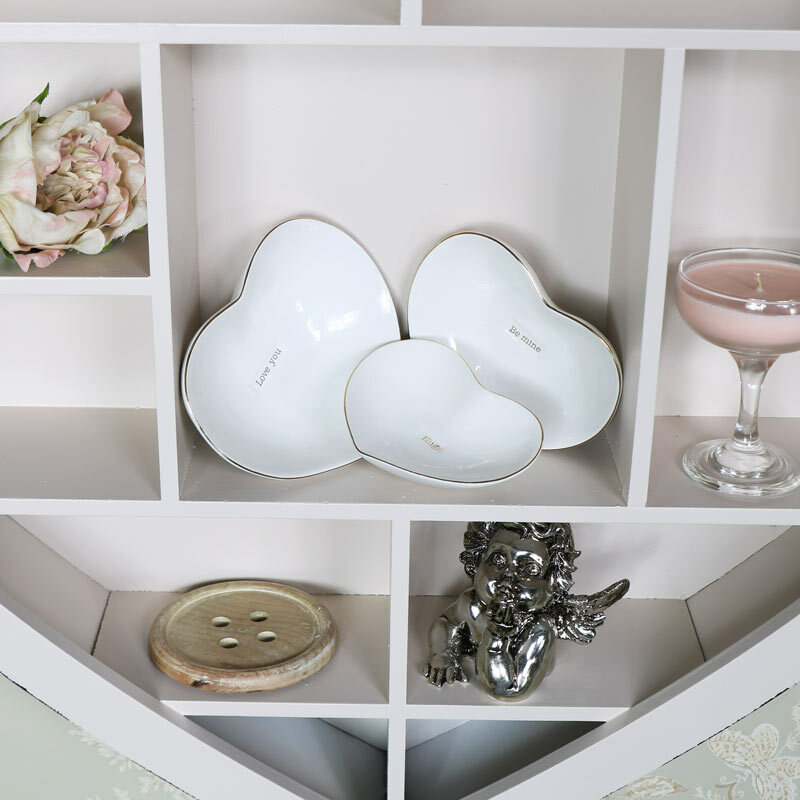 Give a gift that means so much with this set of 3 heart dishes, each with a loving sentiment. Perfect for holding precious trinkets or used at weddings for holding little sweet treats. 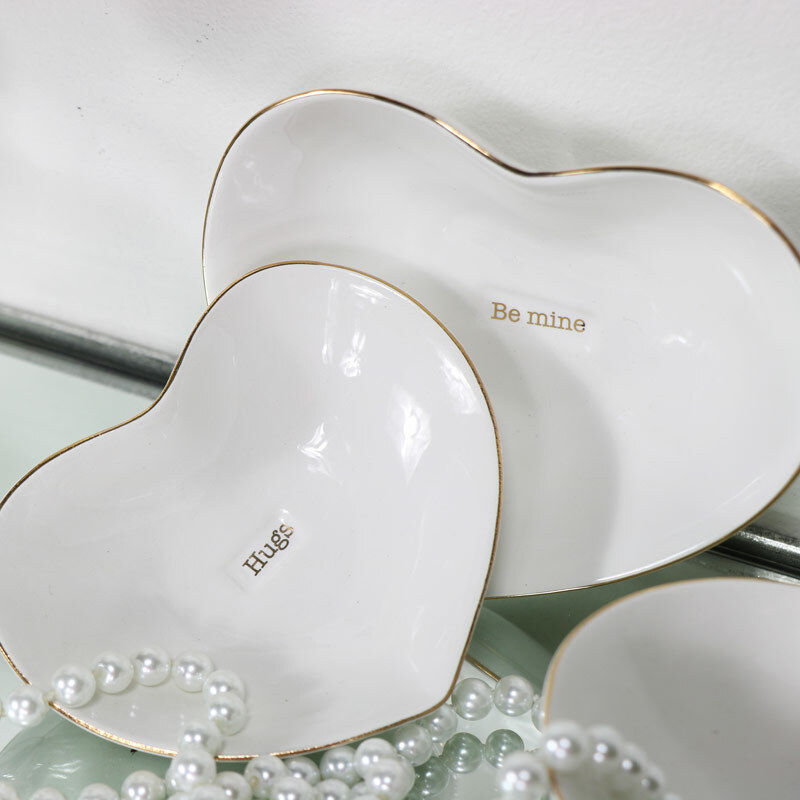 White ceramic in 3 different sizes from large to small, each with a different message written in gold wording that reads, Be Mine, Love You and Hugs, sweet sentiments for someone that you love. A great gift idea for Valentine's Day, Mother's Day, for that special person or as a wedding table centre or accessory. These would look great used as a set or can be used individually wherever you want to place them. 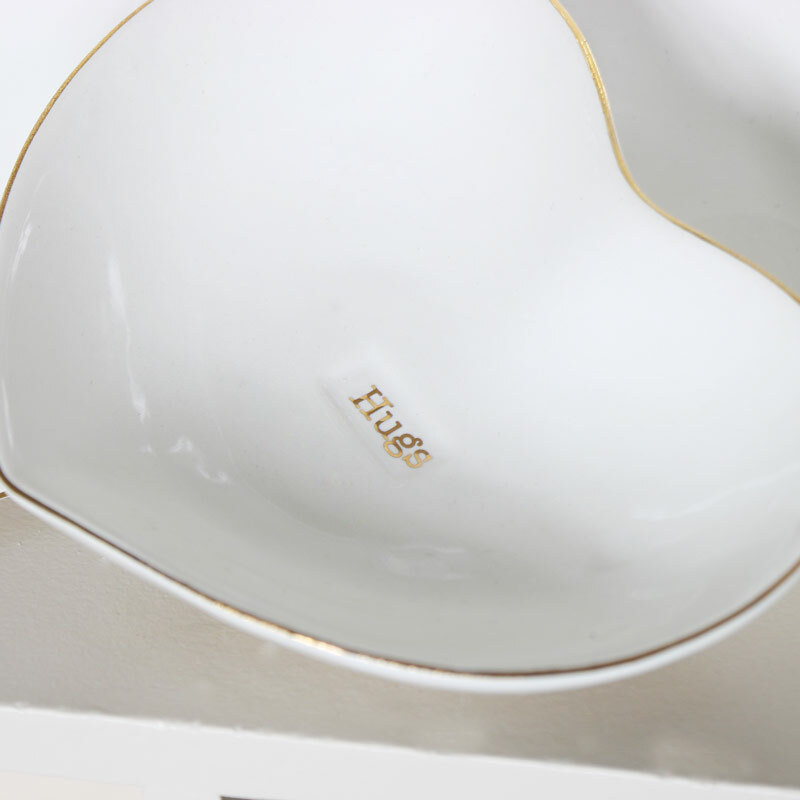 White ceramic bowls with gold trim and text. Each in a different size large to small. These are a great addition to our extensive range of gifts and home accessories. Great gifts for someone you love.